Say hello to RockTape, a new kinesiology tape by Turbo! RockTape can be used to treat sports and non-sports injuries, such as shin splints, plantar fasciitis, runner’s knee, and back pain by increasing blood flow and reducing swelling. This makes a great addition to any bowlers' bag! 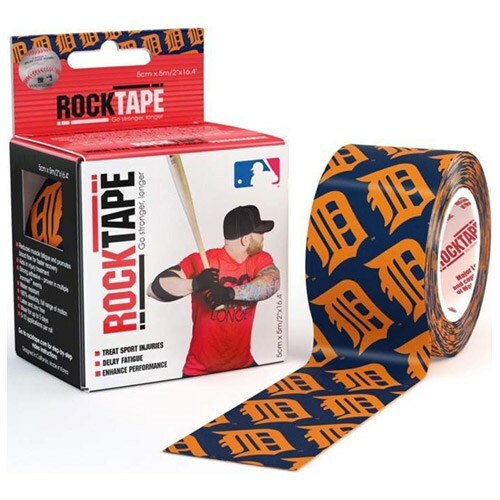 Due to the time it takes to produce the Turbo RockTape MLB Detroit Tigers 2" Roll ball it will ship in immediately. We cannot ship this ball outside the United States.